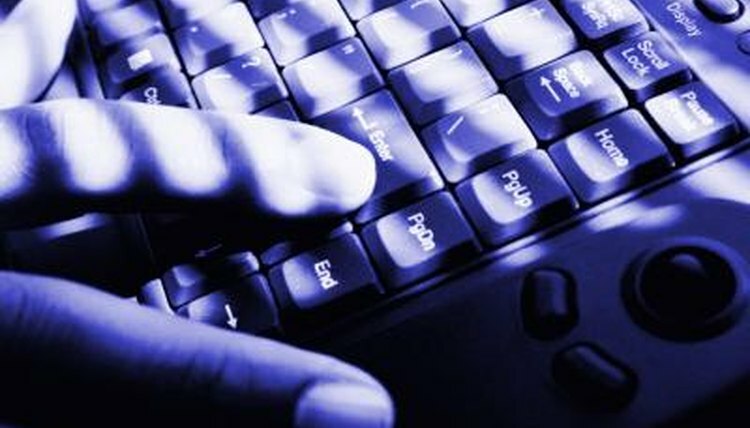 Illegal computer hacking poses an increasing threat as the world relies more and more on computer technology. Hackers are responsible for identity theft, government and industrial espionage and revealing people's private information to the world. As illegal computer hacking becomes more prevalent, lawmakers struggle to pass laws meant to deter would-be hackers and punish those guilty of illegal computer hacking. Hacking began when people found ways to make free phone calls, decipher coded transmissions and use radios in illegal ways. When computers appeared, hackers learned the language and systems of computers. Not all hackers intend to cause trouble: Many want to show that they can hack a system as a point of pride. In fact, many good hackers work for companies to find security holes in their computer systems. Other hackers want to steal information, crash networks and create problems. Malicious, unapproved hacking brings legal action against perpetrators. As with most legal action, the severity of the offense and the past record of the hacker may help determine the legal action taken against him. Hackers cost their victims money. Victims spend money pursuing hackers, lose money that was stolen and suffer losses from compromised, sensitive information. The financial penalty to a hacker depends on the loss to the victim and what the hacker gained. Hackers may be required to forfeit all gains from the hack, pay for the losses the victim incurred and pay money the company should have reasonably made while its systems were shut down to repair damage from the hack. In addition to damages, hackers are often responsible for federal and state fines. Fines vary by state and by offense. Serious hacking offenses most likely lead to jail time. Sentences vary from a few days for a minor offense to 10 years for cases that violate federal espionage laws. Jail terms, like financial penalties, depend on which state and federal laws were broken and what the sentencing judge deems necessary. Where prison terms are served depends on the laws broken and the jurisdiction the laws fall under, so jail time may be served in a state or federal prison. Judges may sentence a hacker to a probation term. During probation, the hacker agrees to commit no more crimes for a length of time determined in court. Any crimes committed by the hacker during probation results in prison time. Probation may be applied after a set jail sentence as well. The hacker must then go to jail and then commit no offenses during a probationary period after serving the sentence. Laws vary from state to state, so the best way to determine a range of punishments for a particular hacking offense is to research the applicable laws and the punishments for breaking them. Lawyers know the possibilities and inform offenders before going to court. Linkenhoker, Eric. "Penalties for Hacking Illegally Into a Computer." , https://legalbeagle.com/10026928-penalties-hacking-illegally-computer.html. Accessed 18 April 2019.